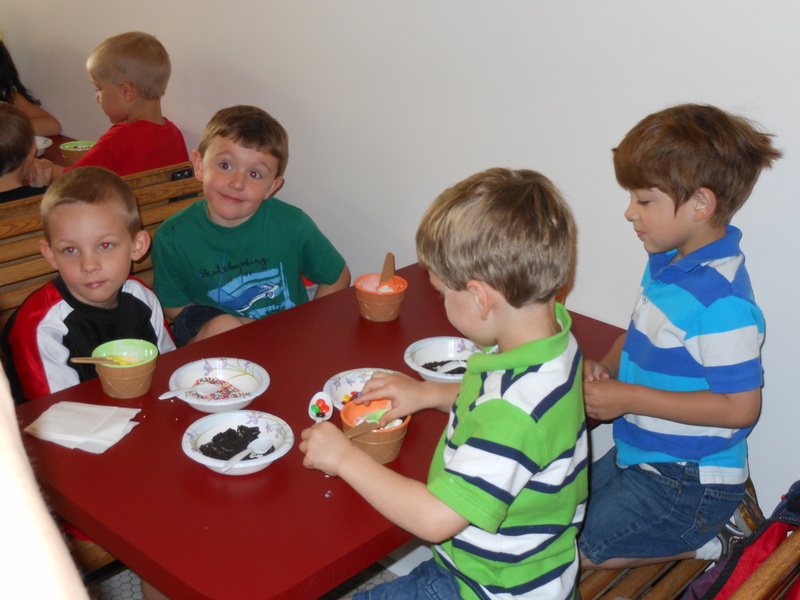 Our grandsons, Kaleb and Peyton, love our homemade ice cream and hanging out at the shop! 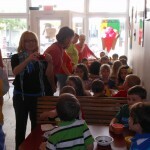 Did you know that we even provide tours to local classrooms? 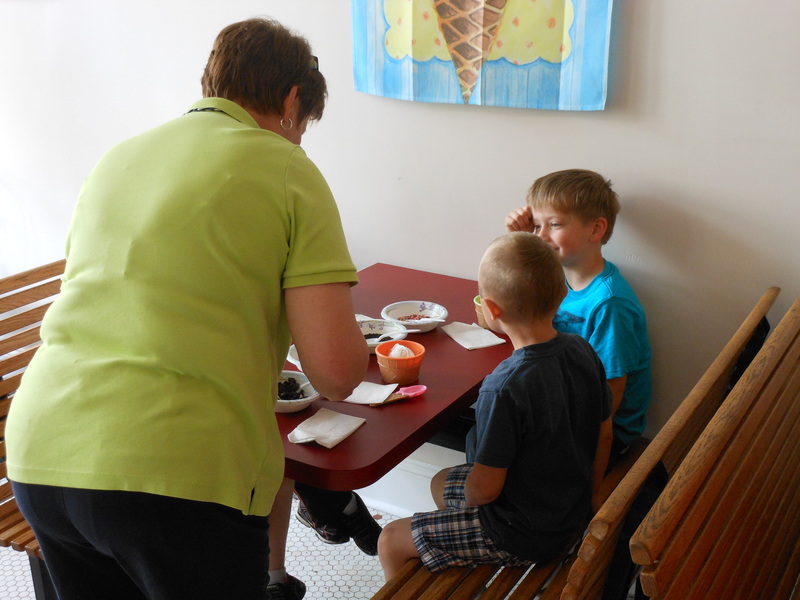 At Red Fox Creamery, kids are always welcome! We only use local, fresh fruit in our recipes! We never use frozen fruits. Juicy, ripened raspberries give our ice cream its all-natural deliciousness! 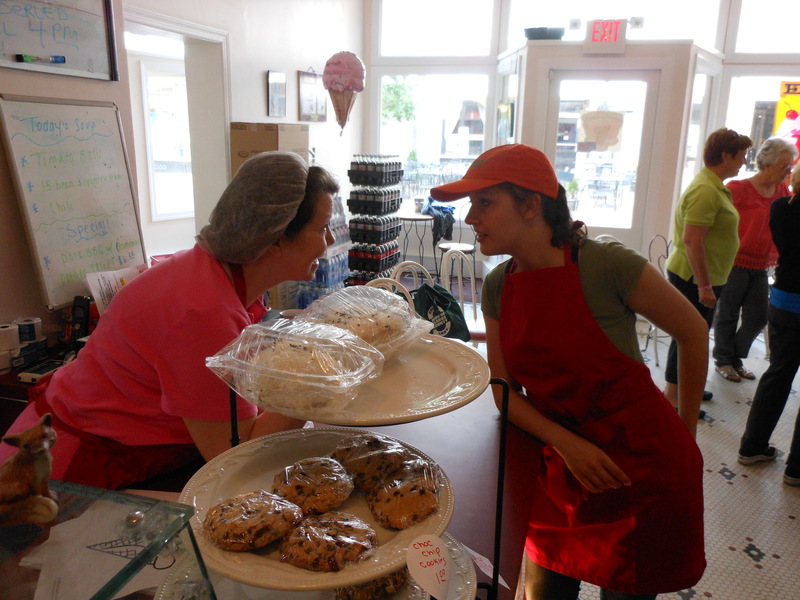 Kathy, Brian and Brianna work behind the scenes daily to bring you fresh ice cream, sandwiches, soups and salads! No time to eat at the shop or just love it so much you want to take some home? 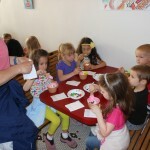 Our ice cream is always available in pints and quarts! Kathy and Brian pride themselves on making everything from scratch. Brian’s chicken for his homemade chicken salad is pulled from rotisserie chicken and seasoned using Brian’s recipe. The shop also produces about 25 gallons of homemade chili a week! Enjoy all of these wonderful treats along with creamy, delicious homemade ice cream at the shop! Come by and say hello! REAL Homemade Milk Shakes, 12 Flavors! Any of our current flavors can be a milkshake and we top them off with whipped cream! Treat yourself today! 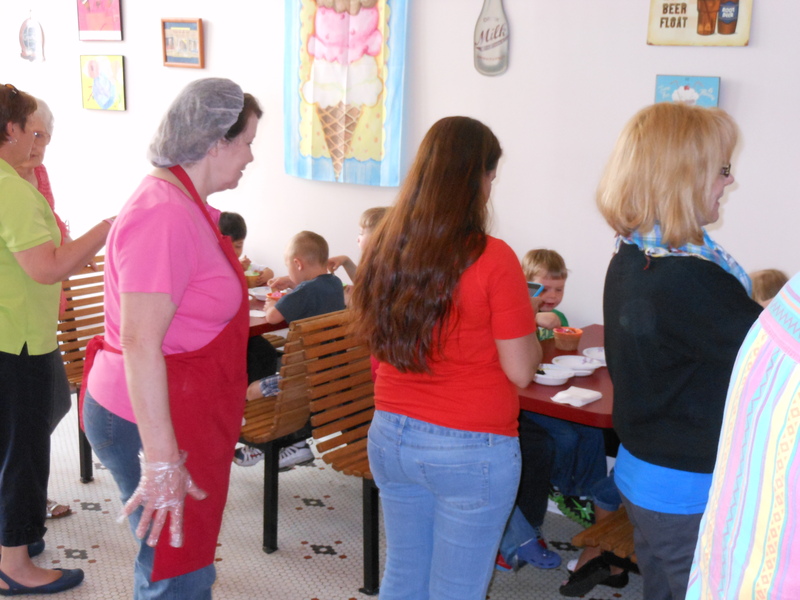 We had a great time serving up some ice cream to this great group of children. 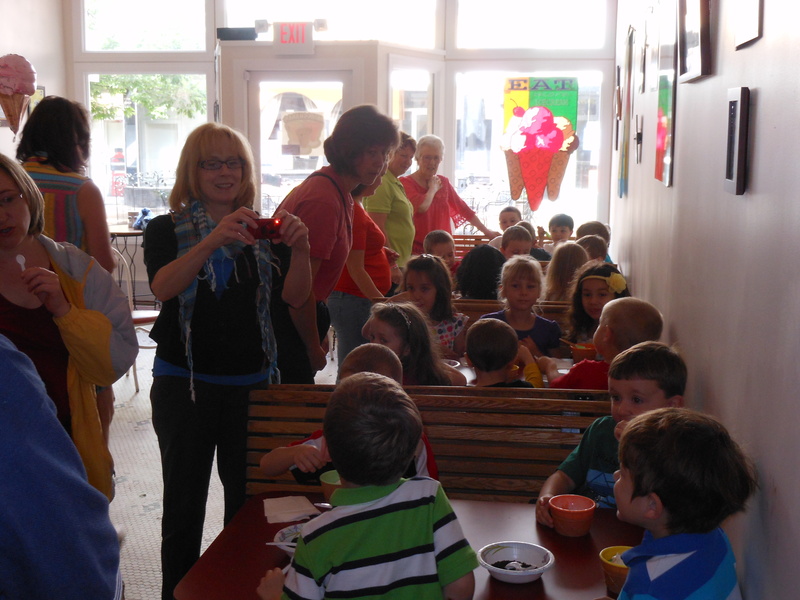 We gave them a little lesson on how we make ice cream. 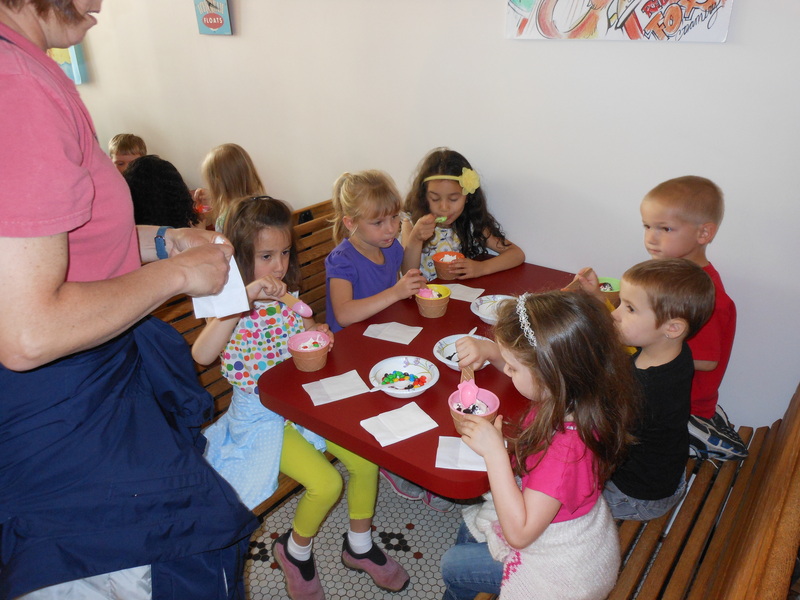 We gave each child a cup of vanilla, right out of the batch freezer, and let them make their own sundae. FUN! Call us to set up a date for your group. A big Thank You to all the teachers and parents who did such a wonderful job helping us. Winchester, Virginia and Red Fox Creamery listed as one of the Country’s top spring destinations by Expedia Viewfinder. 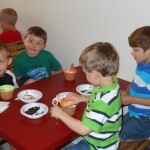 Welcome to Red Fox Creamery! Red Fox Creamery (formally Middleburg Creamery) started our operation making homemade ice cream in Middleburg Va. Our retail store offered homemade ice cream, lunch, gift items/Virginia gourmet foods. We moved to Winchester in 2008 to a larger production facility. 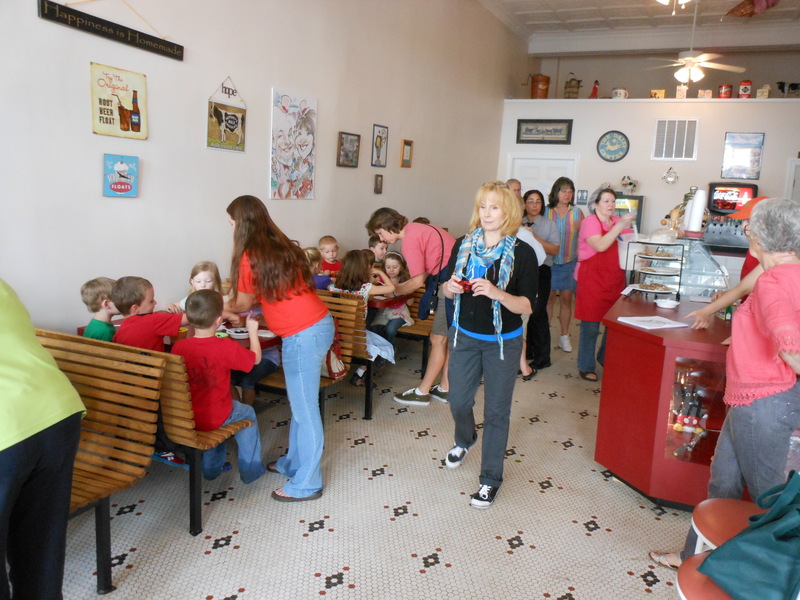 We soon realized our customers missed our facility in Middleburg, where they could get all the goodies an ice cream parlor has to offer. We found a wonderful location on the beautiful Old Town Walking Mall in Old Town Winchester, VA. We tried to duplicate our Middleburg operation as close a possible. 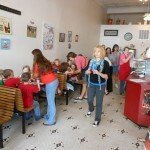 We now make all of our ice cream here, so you can treat yourself to a wonderful cone, shake, malt or sundae. Also we sell hand packed pints and quarts. We offer ice cream pies and cakes (special order). We home bake fresh brownies, cookies, cakes and pies. We are back with a light fare lunch menu, with everything being homemade. Greats soups, chili and sandwiches. We are always happy to see you and always offer free smiles! WE are proudly a member of Virginia's Finest.